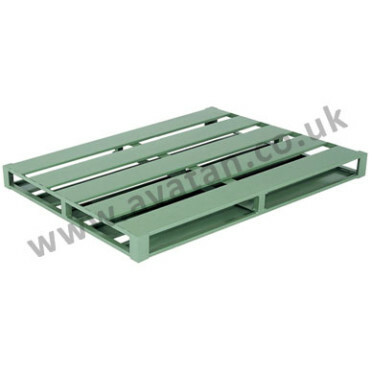 Single sided non-reversible four way entry flat steel pallet with solid or slatted top deck. 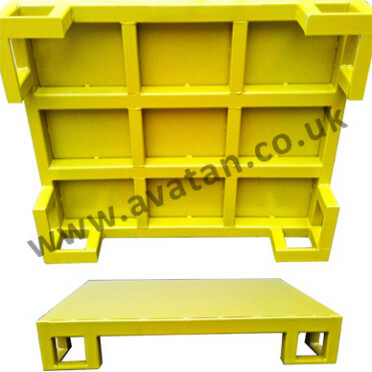 Free enty on all four sides for either fork lift or hand pallet truck and suitable for storage within pallet racking. 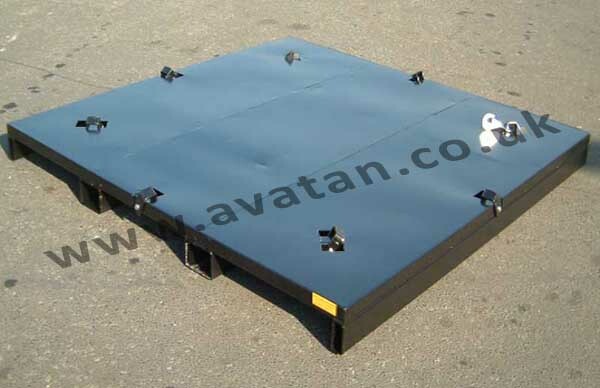 1200mm x 1000mm pallet pictured was designed for 2000kg uniformly distributed load and was proof loaded with 3000kg to achieve this. 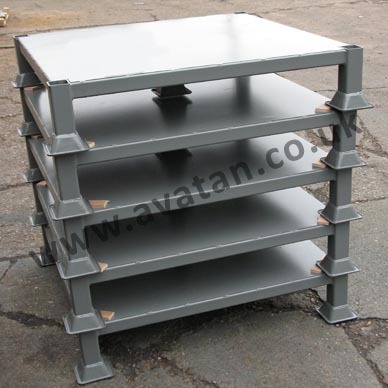 Other common sizes are UK standard size 1200mm x 1000mm or 1200mm x 1200mm but may be manufactured any size to suit your own needs. 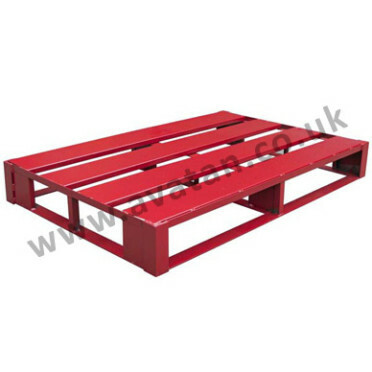 See also inset pictures showing Flat Steel Pallet with flush deck and 2.1m square heavy duty steel pallets designed for offshore use with Lashing Points and full depth Fork Guides.